Chester County residents who are homebound may receive library materials free of charge through the mail. No postage cost, rental fees, or overdue fines. For more information, call 610-280-2644. Customers with visual or physical impairments may receive recorded excerpts of the Daily Local News weekly free of charge through the mail. For more information, call 610-280-2644. 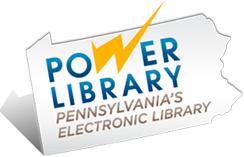 Customers with visual impairments may borrow audiobooks free of charge from any Chester County Library. Customers wishing to receive this benefit must apply at the Chester County (Exton) or Hankin Library branches. For more information, call 610-280-2649. 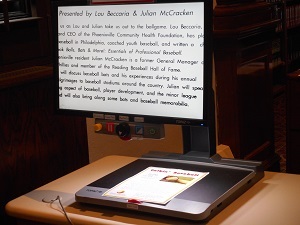 A video magnifier is available for use at the Information Desk in the Adult Library. The device can be used to enlarge printed type, pictures, handwriting, and small details.